It looks like the Apple Watch may be encouraging some users to make healthy lifestyle changes. A survey by the company Wristly suggests that the wearable is making users think more about their health and having them make small lifestyle changes to help improve that health through movement. The biggest change comes when it comes to standing. The Apple Watch is set up to gently remind you whenever you’ve been sitting for longer than an hour, with a goal of standing for at least one minute for 12 separate hours of the day. According to the group’s survey of 1000 Apple Watch users, 75% of respondents said that gentle push was working and they “Strongly Agree” or “Agree” that they’re standing more now that they’ve started wearing the Apple Watch. While the biggest change in behavior has come in the form of walking, the Watch has also had an impact on other elements of users' health. 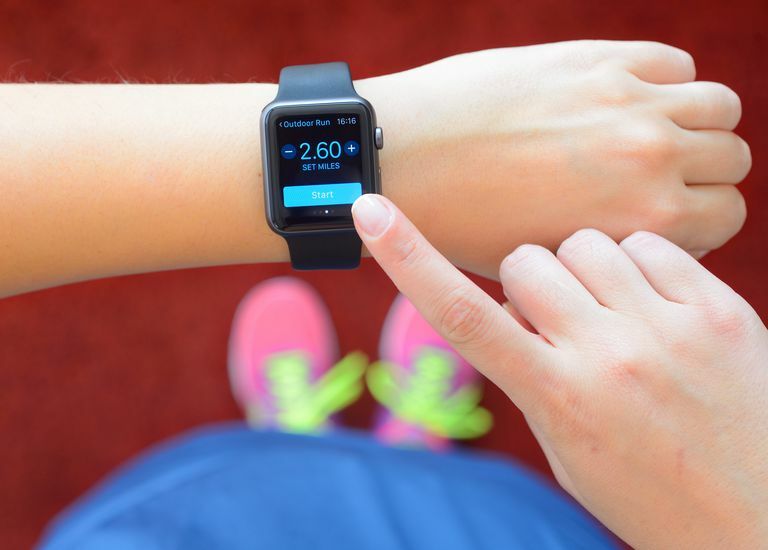 67% of respondents also claim that the Watch has encouraged them to walk more, and 57% of people who participated in the survey said that they exercise more since they purchased the wearable. Throughout the day, the Apple Watch encourages you to complete three different activity rings. A small blue ring represents the number of hours you’ve stood, a green inner ring represents each minute of exercise you’ve gotten (with a goal of 30 minutes), and a large outer ring counts the number of calories you’ve burned each day due to movement. The goal, of course, is to complete all three rings each day. The Watch makes gentle reminders about your progress throughout the day to keep you on track, and when you’re successful, you can earn activity badges to commemorate your progress. The majority of respondents, 89%, said that they were satisfied with the Activity app that simply tracks your movement throughout the day. In addition to the Activity app, the Apple Watch also has a Workout app where you can engage in a specific type of workout and track your progress during it. For instance, you can go on an “Outdoor Walk” using the Watch and set a calorie goal before you begin. As you walk, the Watch will let you know how you’re progressing toward your goal as well as give you updates on how far you’ve traveled, your pace, and your heart rate during the workout. In addition to walking, there are quite a few other built-in sports supported by the app including indoor cycling, elliptical use, and stair steppers. 75% of survey respondents said they were satisfied with the Workout app. The key to getting any fitness benefits from the Apple Watch is to wear it consistently. 86% of people who participated in the survey said that they still wear their Watch every day, something that you’ll have to do if you want to see any long-term progress with goals such as basic movement and standing. In addition to polling customers about their use of the Watch, Wristly also conducted a customer satisfaction survey on the Apple Watch. From that survey, it determined that a whopping 97% of customers are satisfied with the wearable. Some of the most satisfied customers, in fact, are mainstream consumers rather than tech enthusiasts.